One of the most frustrating things that I see on an almost-daily basis is people revealing far too much information about their lives on public media platforms. Everything from how much they hate their boss, their egotistical co-workers, their friends, their family, the world. It’s one thing to take to email, or to a personal message, or a fully-locked Facebook or Twitter feed, but the amount of sensitive information that’s shared in this manner is quite frankly a little frightening. The screen-grab at the top of this post is taken from a website called We Know What You’re Doing - a site set up by a coder called Callum Haywood to trawl the publicly available data on Facebook, Twitter and Foursquare to find out who’s casually uploading private, potentially slanderous and possibly illegal information about themselves. My take on it? It’s stupidity - but that’s not to say that it’s entirely the participants fault. Sharing feels more personal than ever now. We feel as if we are connected to our friends and family directly though our smartphones and our laptops, conveniently forgetting that there are billions of people out there that have access to your information. 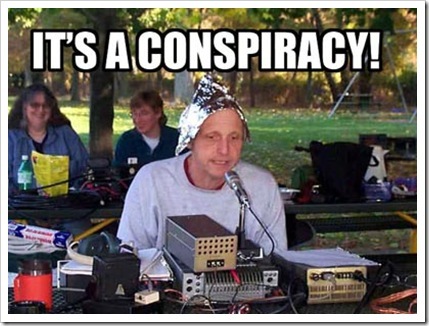 I would try and think about it a bit more, but I’m a bit busy at the moment building my tinfoil hat to stop the saucer people stealing my yellow mind juice. Do social media sites need to have more protection for users that are unaware of just how public the information they are sharing is? Or is that protection their responsibility to some degree? I know that these sites feel smaller, more personal and more connected to people that only want the best for you. But never forget that sometimes, the person on the end of that Tweet, Facebook mention or Foursquare check-in might not have your best interests at heart. Or maybe they do have your best interests at heart - you’re just being a jackass. NeverSeconds Viral: Well Done Martha! I just wanted to end the week by sharing a very special story with you all. You may have noticed a series of news stories over the past 24 hours relating to a little girl that goes by the name of Martha (or her blogger name, VEG). People from all over the world started sending her pictures of their school meals. The kicker being that whilst young Martha was never being mean or hurtful about her own school dinners, once pictures of school meals from around the world started appearing on her blog, it became very clear that the quality of food being served up in her own canteen just was not up to scratch. “This morning in maths I got taken out of class by my head teacher and taken to her office. 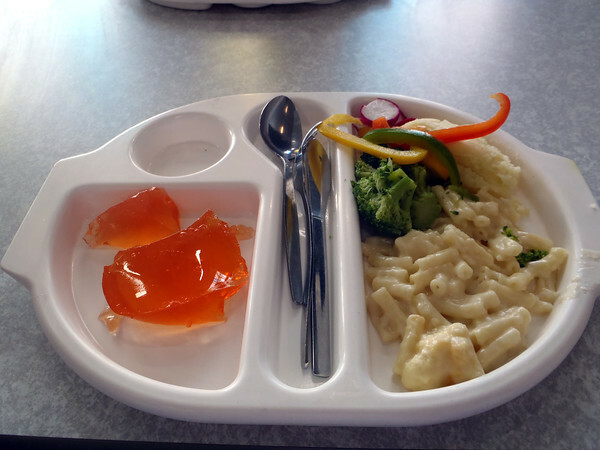 I was told that I could not take any more photos of my school dinners because of a headline in a newspaper today. This is when the story broke. Supporters of her cause took to blogs, message boards, Twitter and Facebook to raise awareness of the issue. As of this lunchtime, the blog, and the story of Martha had gone viral. The world was watching Argyll & Bute Council - and they were in trouble. The head of the council, Rory McCuish, ordered the ban on Martha’s blogging to be lifted by the council. The will and the power of a local council had been broken by a nine-year-old schoolgirl and her followers online. When a story goes viral online, it’s often assumed by people that you can create, or manufacture this kind of buzz. Let me be clear on this: YOU CANNOT CREATE VIRAL. Viral content creates itself. and it’s not the format or platform that enables the spread - it’s the story itself. It asks you to take action (donate money to a charity, and prevent a council from shutting a blog down). The result? As of now (4pm GMT), Martha’s charity page on Justgiving has raised £31,123.67. Yesterday this number was around the £2k mark. People often tell you that you can manufacture this kind of buzz. You can’t. Money alone couldn’t buy a story like this. It rarely comes around, and it makes you feel good about yourself, and the world around you. The best way to be able to attempt this kind of success is to not try - people can smell an attempt to go viral a mile off. It rarely works. Every true viral is a one-in-a-million moment. So next time you are pitched an idea about a viral, think about Martha’s story, and whether you can better that. If you can’t, then I’d try something else! Twitter: What's in a logo? 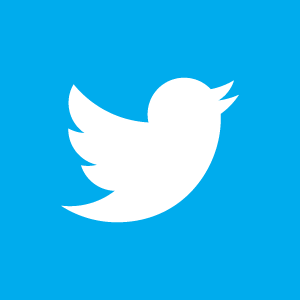 Twitter have unveiled a new logo and integration options with Facebook. Announced late last week, this move sees the bird logo amended to appear as it it’s on an upward trajectory - "the ultimate representation of freedom, hope and limitless possibility" according to Twitter. In addition to this, they have also unveiled new integration options for users that have merged their Facebook and Twitter accounts. You can now cross-post to Facebook and Twitter, and whenever you mention a user or hashtag, Facebook will link to the relevant account or search result. Great news for some, but not for people who are annoyed with people that use their Facebook accounts in the same way they update their Twitter accounts - grr! On a serious note, whilst many people may think that changes like this are pretty arbitrary, they are in fact very important to a company. 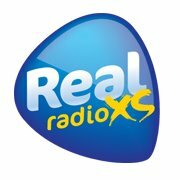 I’ve been lucky enough to be involved in three re-brands in my time as a Community Editor/Social Media Coordinator - Ministry of Sound, Real Radio and Real Radio XS. Each time, the changes were met with a degree of scepticism from the audience. 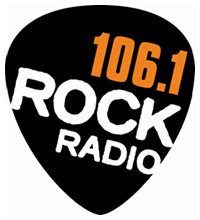 In the case of Real Radio XS, there was a real concern that the station was planning to deviate from it’s traditional classic rock playlist. A re-brand can be seen in many ways as a fresh start, but you have to bear in mind from a user perspective that it could potentially be seen as a harbinger of doom. Previously, a re-brand could be developed, launched, and given time to bed in. In the social media age however, brands and companies are not afforded that luxury. You are judged immediately on the look, feel and vibe of it almost immediately. Or rather - you receive feedback quickly. That, in my opinion, is a good thing. It’s an opportunity to engage with your audience. To have a conversation with them about the ins and outs of the changes, and what it will mean. Just because people may initially dislike change, it doesn’t mean that they are not willing to embrace it eventually. You just can’t expect blind acceptance these days. When the Rock Radio brand was changed to Real Radio XS, our venerable PD Moose decided to tackle the issue head on. I sent him the feedback about the changes, kept him updated on what the fans were saying on Facebook and Twitter, and he made a great decision - he invited the most vocal fans, the most invested fans, in for pizza, a few beers and a chat. That to me was the turning point. It gave our audience the perfect opportunity to come and have a chat with us, and find out a bit more about the changes. As a result, we now have one of the most actively engaged Facebook and Twitter communities I’ve ever had the pleasure to oversee (#humblebrag/Disclaimer - I'm a current employee of Real XS/GMG Radio). A re-brand can be scary to your audience. Almost as scary for a company that decides to pivot, and change it’s core product (Path, Colour, Facebook opening up it’s network to non-graduates/students). So you have to be prepared to listen, to explain, and be ready to be honest with your audience. It’s very hard to stay angry with somebody when they are honest with you face-to-face. Social media is a great opportunity to engender those feelings on a mass scale, and I don’t think that any company should overlook that opportunity.